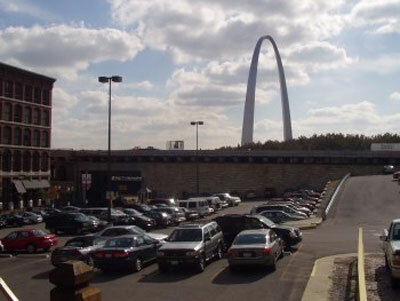 CitiPark is proud to say that we are one of the most successful parking operators in the St. Louis area. With so many years of experience, our management team provides efficient, cost effective parking solutions with the most reliable service available in Metropolitan St Louis. CitiPark is a division of Drury Development Corporation, located in historic downtown St. Louis, Missouri. CitiPark provides a full range of parking management and garage cleaning services. We operate all types of parking such as commercial, office, hotel, residential, special event and valet parking. Our reputation is built on two missions: Deliver the highest standard of service and exceed the expectations of our clients on their financial objectives. Our highly specialized uniformed crew of garage cleaning professionals can tackle the cleaning job of your location. Our crew specializes in pressure washing, power scrubbing/power sweeping, post construction cleaning, re-stripe / traffic markings, day porter service and retail strip center services. We also pressure wash building first floor/store fronts and offer gum removal from sidewalks. Contact us at 314-241-1918 or citiparkstl@ddcmail.com for more information.